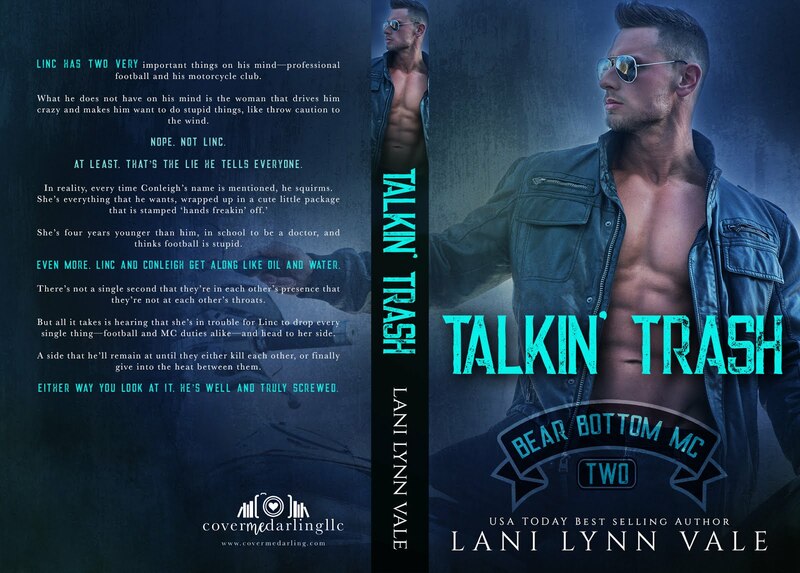 Talkin' Trash is book 2 in the Bear Bottom MC Series by Lani Lynn Vale. 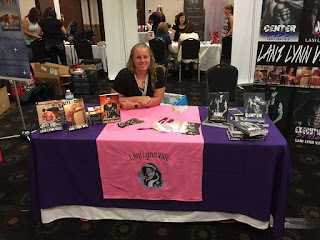 I have also read book 1 which is titled Mess Me Up. Both books have been about Football Players, Members of the MC, and romance. I do like the book but do wish the MC played a bigger role in the books. 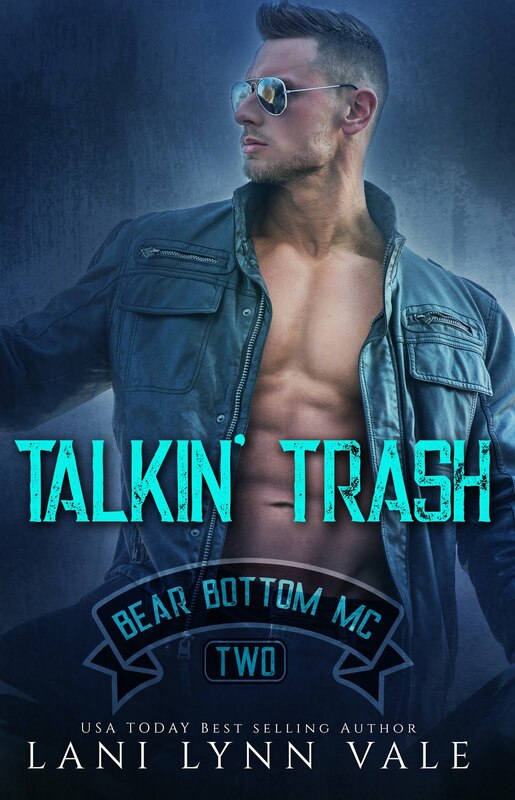 This book was fun to read. It does jump around in time a bit from their meetings in the pat to the present. In this book we meet Professional Football Player Lincoln "Linc" and MC Leaders stepdaughter Conleigh. 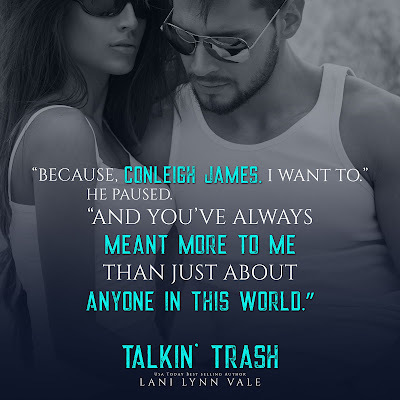 Linc and Conleigh met 8 years ago when she was just 16. They knew they were for each other right away. 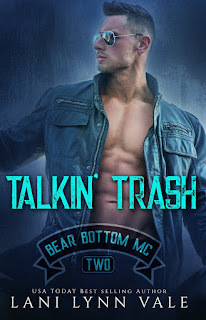 Steel, Conleigh's step dad told Linc she was not ready for him and that she was off limits. 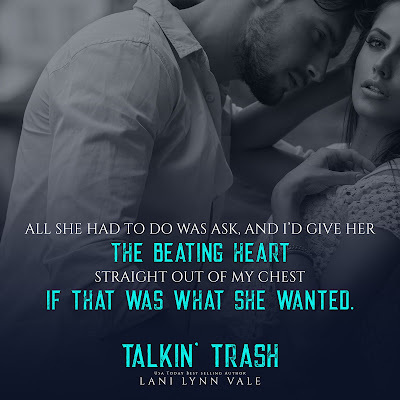 Linc then backed off but now 8 years later Steel is still saying the same thing but Linc is getting tired of waiting, and knows if left up to Steel's point of view she will never be ready. Conleigh has been in love with Linc since she was 16 and has had her heart broken by him before.. She doesn't understand why every time they start getting really close he backs off. Her dream was to become a doctor and she is now a nurse putting herself through school to achieve that dream. But is ready to quit school. When Linc shows back up in her life. These 2 are total opposites, but then again in the old saying opposites attract. So they are on again off again. When Conleigh finds herself in danger Linc will do anything to save and protect her.